Recently, Target announced that it will opt out of using Amazon Web Services (AWS), which has quickly become a leading provider of cloud services in the U.S. market. The reason for Target’s decision to scale back was straight-forward: Amazon’s purchase of Whole Foods only furthered their move into retail, which means that Target would essentially be helping to finance it’s now growing rival. However, what’s important to note is how AWS fit into Target’s cloud strategy, and why this decision elevates the discussion regarding how businesses use the cloud. 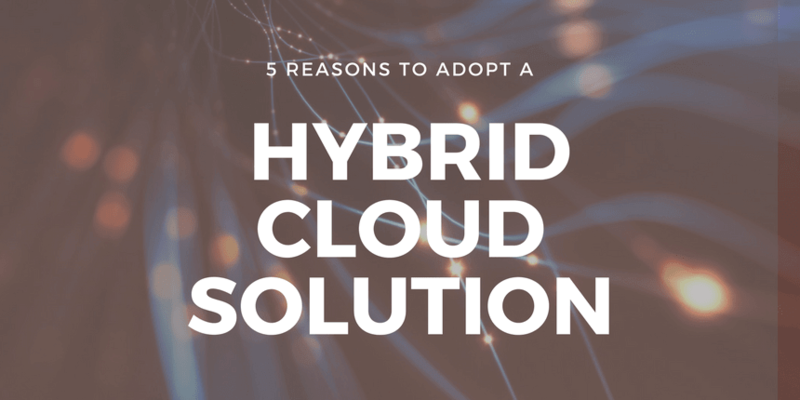 Specifically how public cloud services are combined with on-premise private cloud storage, known as the hybrid cloud, and the reasons businesses should consider adopting a hybrid cloud solution. AWS is a public Cloud Service Provider (CSP), meaning Amazon provides storage and applications over the internet and hosts the company’s data in their data center, and they manage and maintain the data center. Other CSPs include Microsoft Azure and Google Cloud. There is also what is called private, or on-premise, cloud storage. A private cloud hosting solution is when all the business data is stored on-premise in the company’s hosted data center, so none of the resources are shared and the data is secured behind a firewall. 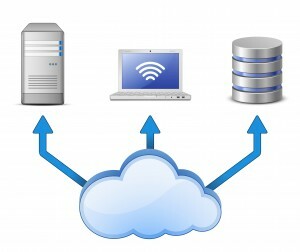 Hybrid cloud combines public cloud and private cloud that allows data and information to be exchanged between the two. The public and private cloud still operate independently, but they communicate through an encrypted connection. A hybrid cloud architecture gives businesses much more flexibility and data deployment options by allowing workloads to shift as needed between private and public clouds. These workloads could be based on computing need (such as critical vs. test workloads) or based on changes in cost (such as accessing additional computing resources from the public cloud). Additionally, the hybrid cloud offers the flexibility to scale without losing downtime with migrating legacy systems. AWS definitely disrupted the public cloud market with fast innovations for a hybrid cloud architecture and created much hype that drew big players such as Nordstrom, Nike and Under Armor as customers. While Target’s decision wasn’t due to a lack of capability within the AWS product, as Target CIO Mike McNamara stated, cloud technology is the “new battleground for retail,” and what is important to take from the recent headlines is that AWS is not the only public cloud solution available for a hybrid cloud strategy architecture. The fact that Target has decided to opt out of using AWS as one of its public cloud services does not interfere with their existing hybrid cloud strategy. According to a Target spokesperson, the retailer uses “multiple cloud service providers and will continue to do so.” And Target is not the only retailer taking a stand by moving away from AWS while continuing a hybrid cloud strategy. According to the Wall Street Journal, Wal-Mart made clear to their technology vendors that if they are to continue doing business they cannot run applications for Wal-Mart on AWS. Wal-Mart also uses a hybrid cloud strategy with a combination of on-premise servers and public cloud services provided by multiple CSPs, including Microsoft. While AWS is one option for a public cloud solution for businesses, there are other options available, including Microsoft Azure and Google Cloud Platform, and all can be incorporated for a hybrid cloud strategy. 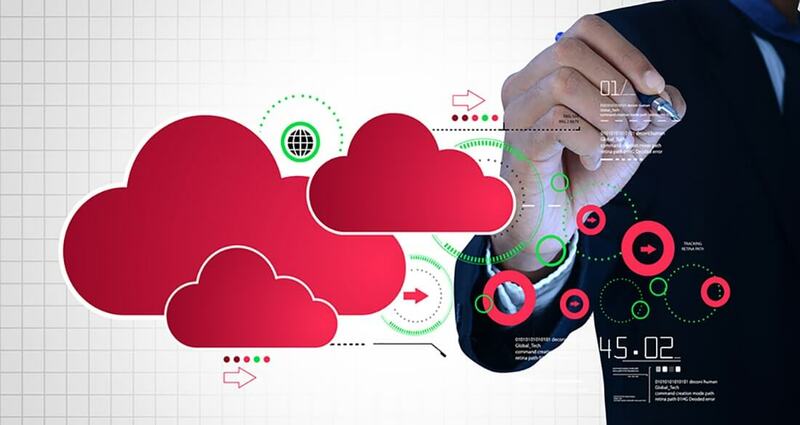 While small and medium businesses most likely aren’t able to financially support the same level of on-premise cloud development as Target and Wal-Mart, that doesn’t mean that a hybrid cloud architecture is not possible. It simply means using one or more CSPs that have the flexibility to work with existing on-premise, private cloud services. A report by Gartner shows that by the end of 2017, nearly half of large enterprises will have hybrid cloud deployments. Based on what we know as experts in the space, business owners should consider a hybrid cloud solution strategy for both flexibility and scalability. At TVG Consulting, we see the value in hybrid cloud architecture. Here’s why. The ability to adapt quickly to opportunities or risk is essential for businesses today. And a business needs to be able to make changes at a rapid pace in order to truly be agile. A hybrid cloud architecture allows a company to change quickly. From process changes to analyzing customer behaviors, the cloud alleviates needing to re-code an existing, legacy system and means implementing a new app or SaaS offering in the cloud. Meaning a difference of possibly six months to re-code and re-work a legacy system versus an immediate upload. Cloud solutions offer IT flexibility by going beyond moving existing processes because it allows processes to be re-evaluated for efficiency, and hybrid cloud storage offers the most scalable storage model. A hybrid cloud is flexible by design, giving businesses the ability to choose to change as needed, whether it be changing data, environments, or services. It is a platform for innovation where ideas can not only be discovered, but be tested and experimented, and then scaled once found to be successful. This is because the most relevant data and insights are made available, which enables “cloud-mediated innovation” says Joe Weinman, author of Digital Disciplines: Attaining Market Leadership via the Cloud, Big Data, Social, Mobile, and the Internet of Things. The Altra IQ smart shoe uses digital sensors in the insole of the shoes that report everything from cadence to foot force on their mobile app, and even provides a live coaching feature to improve running technique. Whereas just a few years ago, shoes manufacturers never really knew who was buying their product or how they were being used, Altra IQ can collect all the customer data and activity via their app in real time. The company can then aggregate and analyze it via the cloud, and do what businesses want most–develop an on-going relationship with the customer while continuing to gather data along the way. A hybrid cloud solution can effectively aggregate and synthesize all of a business’ data, which means that businesses can discover a lot of valuable insights on the customers. This is empowering because now a company can determine what customers want and deliver a solution faster, thus improving the customer back-end experience. .
CarMax understood they needed to learn more about their online buyers and use that to feed their product development. Even with their brick and mortar locations, they knew that their website and app were the customers true “first visit” to one of their stores. “Customers are demanding rich shopping experiences from mobile devices and innovative services such as virtual car tours, online financing, and home delivery,” says Eddy Simmons, Manager of the Online Systems Platform Team at CarMax. Using the Microsoft Azure for their public cloud solution, CarMax moved their images and website to the cloud using Azure as a platform-as-a-service (PaaS) and housing the product team resources in Azure. They kept the vehicle inventory, search infrastructure, and financial applications on-premises. This has sped up the development of customer experiences in shopping for vehicles on carmax.com. Hybrid cloud solutions give businesses the ability to customize cloud infrastructures that ultimately increase their bottom line. Businesses can move workloads or applications that are more costly–financially and operationally–to the public cloud and maintain the workloads or applications on-premise that are already optimized. Examples of systems most likely to reside in the cloud today are email and collaboration, business intelligence, and payroll. While email and collaboration are naturally cloud-centric, scalable cloud-based resources can make business intelligence more cost-effective. Many businesses have been slow to move to the cloud because of issues with data privacy and security as well as compliance issues. They want to maintain control and do not want sensitive data such as government information, corporate data, health information or financial information intermingled with other companies information. While the data is kept separate from each business, enterprises are often worried that they will become the target of hackers or thieves if they store their data in the public cloud. The fact is that cloud service providers offer much more robust protection than most companies could in today’s environment–and that is due to the fact that they spend more on data security each year than most enterprises. For confidential data and data compliance regulations (HIPPA, SOX, etc. ), applications and resources can be segregated from one another using what is called a multi-tenant cloud within the hybrid cloud architecture, restricting access to those only with priviledged access. Hybrid clouds can also offer cost-effective options for backup and recovery functions which will further reduce risk. Is a Hybrid Cloud Solution Right for You? There are many public CSPs available to businesses for cloud solutions including AWS, Microsoft, IBM, or Google. Each has the ability to work with an on-premise, private cloud to build a hybrid cloud infrastructure, and it is possible to utilize more than one of these public cloud service solutions to integrate with a on-premise server. A hybrid cloud solution provides competitive advantage by empowering businesses to make changes with agility and increasing innovative solutions to products using the cloud, thus enhancing the customer experience. 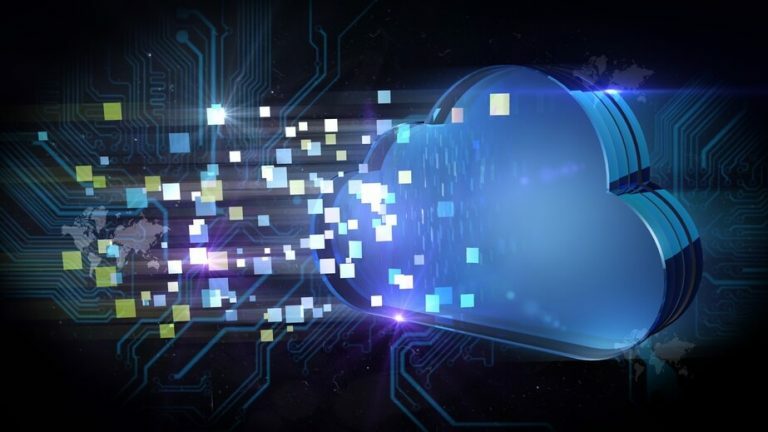 With the added security of the cloud and the capabilities it provides, a hybrid cloud strategy allows a company to determine which workloads and applications to move to the public cloud to optimize and create cost savings. Ultimately, the decision for a business to shift to the hybrid cloud should be based on strategy and not just cost. 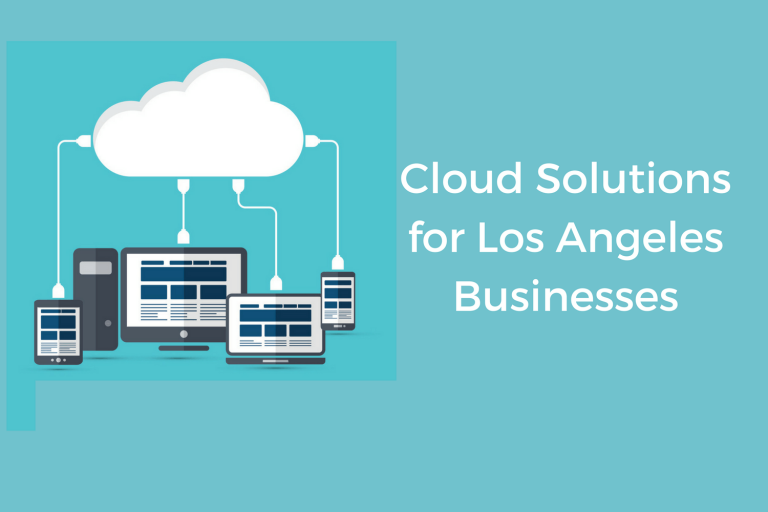 Are you or your company using a hybrid cloud solution? Share with us in the comments below. Cloud Solutions & Services: Why Should Your Company Use Cloud Hosting?